Polo shirts are the ultimate starting point for elegant warm weather ensembles. 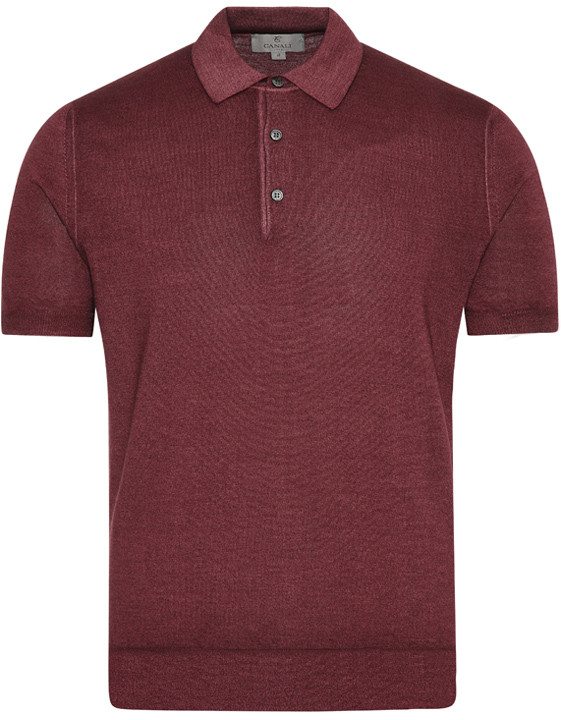 Rich Bordeaux shades contrast nicely with white or khaki chinos for the ultimate casual weekend look. Finish off the look with a pair of sleek white sneakers and bring along our luxurious zip-up hoodie in case of inclement weather. 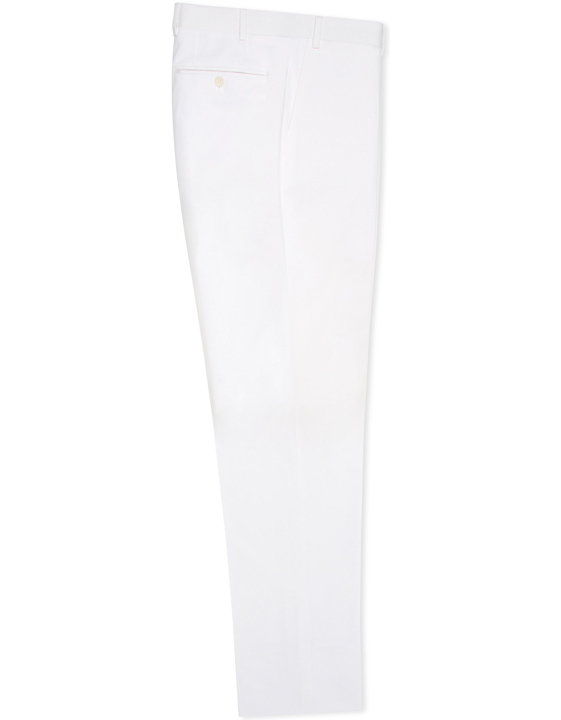 These refined pants come in a bold white, creating an elegant yet dynamic style that pairs well with any ensemble. 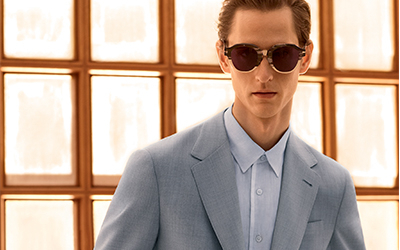 The style is made from a stretch cotton fabric, making it a versatile piece that will quickly become a go-to in your Spring Summer wardrobe. 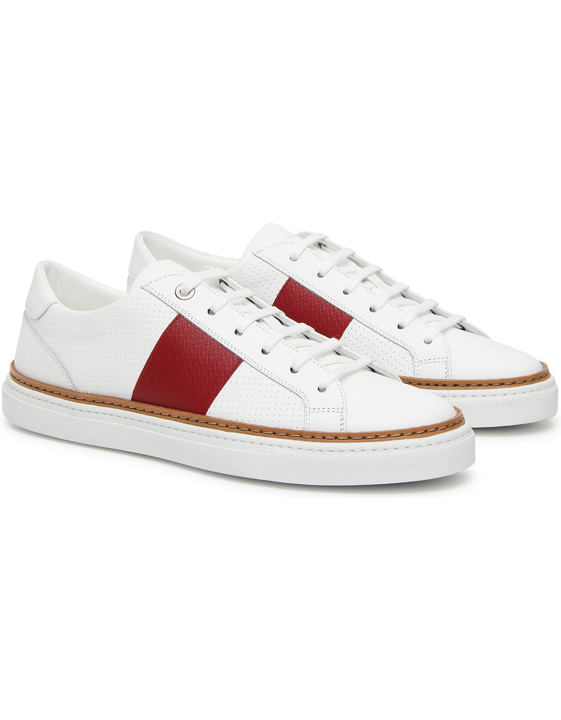 This refined leather sneaker features perforated inserts and an eye-catching red stripe down the side for a contemporary accessory that pairs well with a number of different ensembles. The style goes perfectly with jeans or chinos and a button-up shirt or polo for the ideal weekend aesthetic. 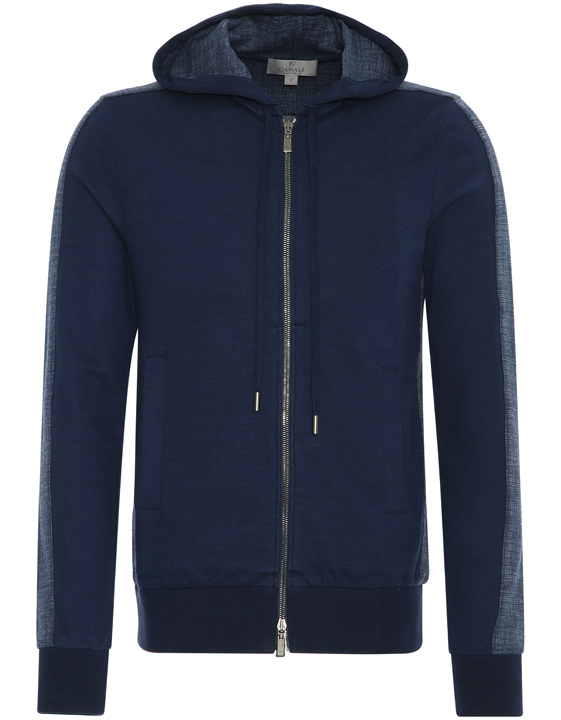 This zip-up sweatshirt is an elegant take on the sportswear classic and is reversible, allowing you to choose between two different aesthetics. It features a distinctive and dynamic crosshatch print that is featured on stripes along the sleeves and sides on one side and more prominent on the other. A drawstring at the hood and hand pockets add practical finishing touches. Pair with the matching sweatpants for a refined leisurewear look.